This past weekend it was ridiculously cold, but there was snow laying around so the cold weather was definitely worth it. Even though I’m not a huge fan of extremely cold weather I love the layering, outerwear, mittens, etc. that it comes with. Unfortunately it’s going to be close to 70 in Nashville today, so I probably won’t need a coat, but tomorrow it’s going to be in the 40s! 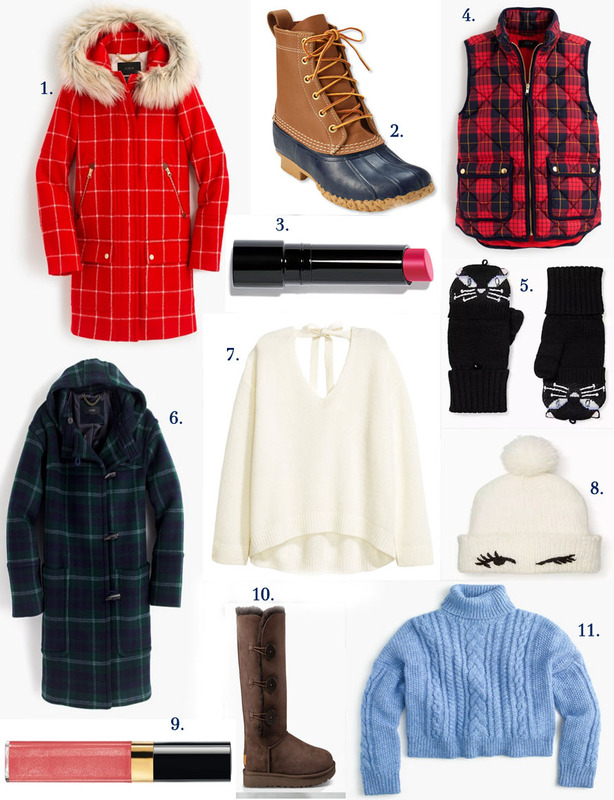 So I thought I would share a little cold weather outfit inspiration for the weekend! The pale blue sweater is my fav! I have that sweater and it is one of my favorites! Love the windowpane parka!! I saw Rachel Parcell wearing it. So pretty. I love the print on that coat - it is so fun and timeless!